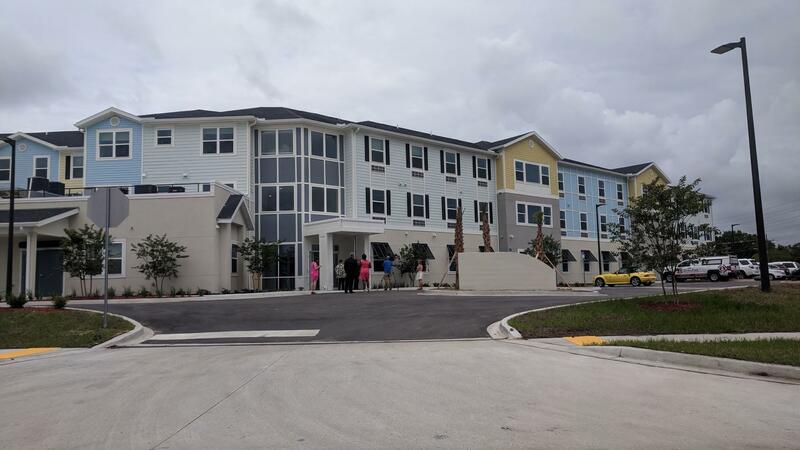 Monday, Evin Willman crossed the threshold into a new apartment on Jacksonville's northside. The modest studio comes fully furnished with Ikea furniture, plates, utensils and kitchen supplies. It’s one of 70 permanent units at Sulzbacher Village, which also offers one- and two-bedrooms. Willman said it’s hard to believe the three story building went up in just 13 months. 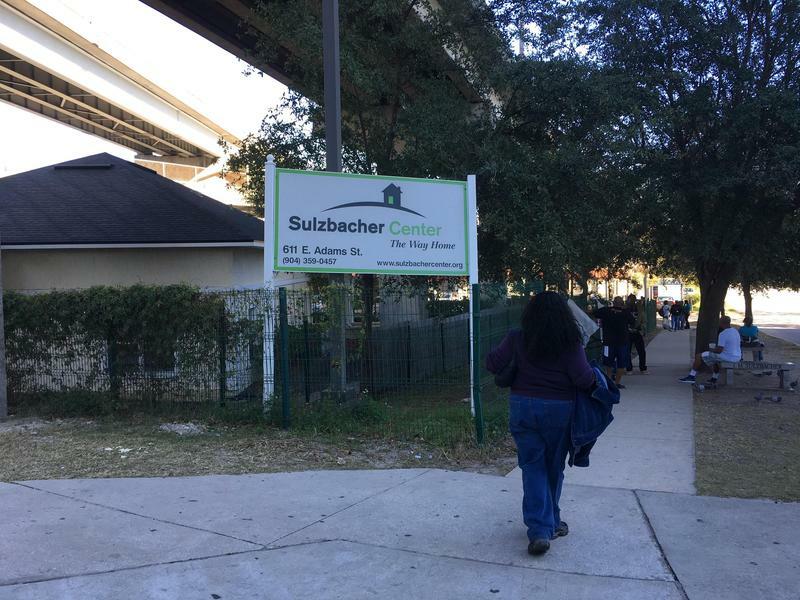 Willman is with Sulzbacher, previously known as the Sulzbacher Center — the name of its homeless shelter downtown. She said over the years that shelter became crowded and had to turn people away. Not only that, but it only provided temporary shelter while trying to place people in more stable housing. Two-thirds of Sulzbacher’s clients are women and children, and this new center she said, will help offer them everything they need to get back on their feet. She said there are special units for women veterans, families going through immediate crisis and medically-needy women. 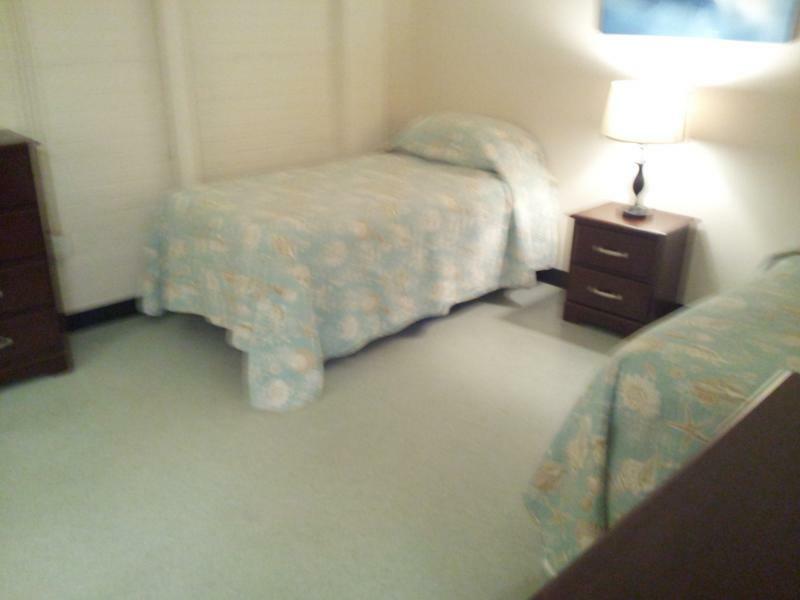 “When a woman gets out of a hospital, if she’s homeless or very low income and has no place else to turn for assistance, all the hospitals in town refer them to us. And we have a medically-staffed unit,” she said. Willman said the development is a realization of a dream many years in the making and stems from the organization’s “housing first” philosophy, which stems from a belief that in order to address the foundational reasons why someone is homeless, you must first make sure they’re sheltered and stable. Sulzbacher Village, which is in the 5400 block of Springfield Boulevard, will also have an onsite children's’ clinic, a daycare center, early learning classes and job training and placement for adults.